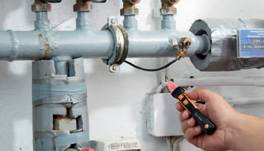 ﻿ Electrical testing just got easier. 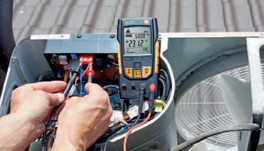 Powerful, rugged & accurate instruments to make contractors lives easier. 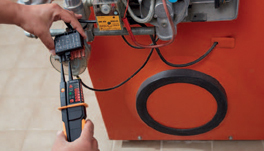 Your work with electrical measuring instruments is going to change dramatically. 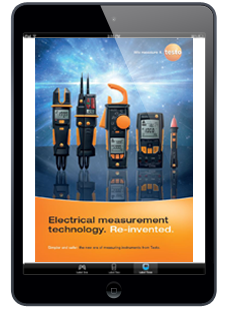 Testo is revolutionizing electrical measuring technology. Automatic Digital Multimeters, Current Probes with unique grab mechanism and Voltage Testers which also measure Current – welcome to a new era. 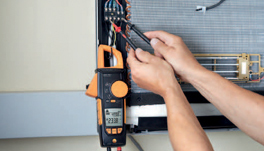 Testo 755 Current / Voltage Tester. 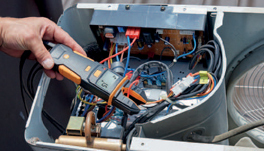 Checking voltage on a distributor box with Testo 745 Non-Contact Voltage Tester. 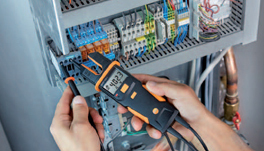 "Discover the benefits of using the testo electrical instrument"
• Grab cables without touching. • Comfortably legible from any position. • The 1st voltage tester measuring current. This message and any attachments herein contain confidential information, and is only intended for the person to whom it is directed. If you are not the intended recipient, be advised that the distribution, copying (partial or otherwise) and the use of the received e-mail and the information contained therein is prohibited by law, and can result in claims for damages. Copyright © 2016 Testo Pty Ltd, All rights reserved.